Nutritional supplements are mainly intended to provide essential vitamins, antioxidants, minerals and essential nutrients that you may not possibly be acquired from your food. Also acknowledged as dietary supplements, these supplements can give considerable health benefits. They are now considered an important constituent of a balanced diet. There is rising scientific confirmation of the benefits of the use of nutritional supplements and their function in keeping optimal health. They help in overcoming different nutritional deficiencies; they make our immunity strong and also help our body to remain free from the toxic effects of free-radicals that are generated in our body. It is found out that use of nutrition supplements in old age is especially very much beneficial. This is because in old age people leave taking care of them. They don’t care for the importance of balanced diet and use of essential nutrients for the body. If they use these supplements, they won’t need to be much concerned regarding deficiencies of nutrients or vitamins. Their all deficiencies will be compensated by these supplements. Though there are a large number of benefits of dietary supplements, yet information about them is quite confusing. Owing to their outsized number in the market, it becomes difficult to recognize which product is really genuine. Don’t panic. It is necessary first to know what type of supplement your body really requires. For this, it is highly recommended that you consult your healthcare provider. You may find celebrities, food editors and fitness expert presenting you messages about these supplements on TV. But these are not enough to guarantee the real beneficiary effect of dietary supplements. It is, therefore, best to seek the help of a doctor. The kind of knowledge he possesses about your body is not comparable to these celebrities and fitness experts. A doctor knows more about the physiology and anatomy of your body, therefore he will always advise you correctly. Apart from it, there are some supplements that can put your body at risk under some circumstances. These include pregnancy, critical ill health, any chronic type of illness or when you are feeding your baby. It becomes must consult a healthcare professional before going to use dietary supplements. Nevertheless, use of minerals and vitamin supplements are considered safe for children, still, it is not bad to have a little discussion over it with your healthcare provider. He will give you best advice. Consultation with a healthcare professional prior to use of any nutrition supplements is also valuable as you will be safe from scam and dangerous products. A doctor is quite knowledgeable regarding the importance and side effects of particular supplements so he will prescribe you that supplement which is required by your body and which is best for you as well. Those companies that make these supplements though do a little research but they don’t do a thorough research about them while a healthcare professional knows about these supplements thoroughly via his experience. Additional important point is that people may prefer the use of supplements over medicines. This is not a good practice. If you still want to do it, we highly recommend you to seek advice from a doctor prior to going for them. 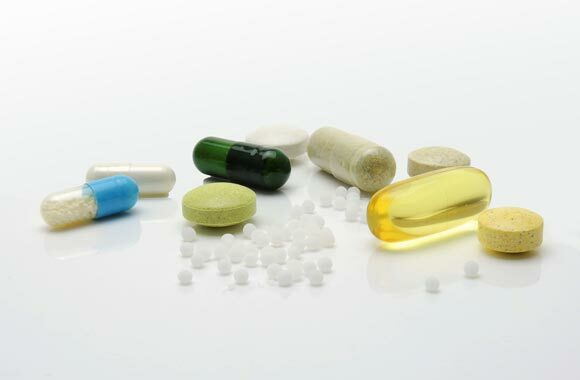 Because many of the ingredients present in the supplement interact with the medicines so if you are using some particular medicines such as diuretics, selective serotonin reuptake inhibitor or antacids etc and want to use a dietary supplement, it is imperative to consult your doctor ahead of using them.